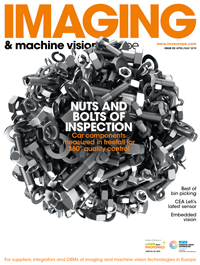 IDS Imaging Development Systems grew by 20 per cent in 2018, according to figures from the company. Sales grew by 50 per cent in Asia, along with 20 per cent in the USA and Europe. IDS plans to create around 60 new jobs in 2019, opening a new innovation and tech centre in the second quarter of the year. The centre will have an area of 4,500 square metres and 200 additional office work stations. In addition, at its headquarters in Obersulm, Germany, IDS is planning to invest in a system for automatic storage and order picking. Since its foundation in 1997 as a two-man company, IDS has developed into an independent, ISO-certified family business with more than 280 employees. IDS delivered its millionth camera in the second quarter of 2018 – cameras with USB 3.0 and USB 3.1 interfaces are among the bestsellers. ‘In addition to classic development, we would like to shift focus more towards new innovative technology topics,’ Hartmann said. The company has released cameras containing an artificial intelligence app and a new 3D stereo camera.